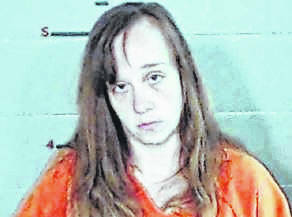 GALLIPOLIS — Two females escaped from custody on Friday evening in Gallia County, with one later re-arrested. Gallia Sheriff Matt Champlin released a statement on Friday evening saying two females escaped custody from the Gallia County Jail. 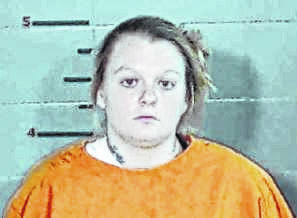 The statement was later updated on Facebook to say that one woman, Savannah Coleman, had been taken into custody by the Gallipolis Police Department. “At approximately 5:57 p.m., two females who have been identified as Shelena Doss and Savannah Coleman were able to compromise the security of our facility and have fled custody. Ms. Doss, age 28, is a white female who is 5’4” tall, 195 pounds with blonde hair and blue eyes. Ms. Coleman, age 28, is also a white female who is 5’7” tall 120 pounds with brown hair and brown eyes,” said Champlin. Doss was still at large as of press time. If anyone has any information as to the whereabouts of these individuals, contact the Gallia County Sheriff’s Office at 740-446-1221.